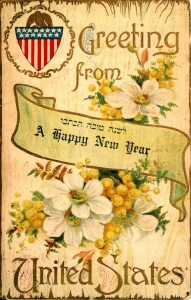 First, here is a brief note for those of you who may not be familiar with this particular Jewish holiday. Rosh Hashanah, the Jewish New Year, is this year celebrated from the evening of September 24 to the evening of September 26. 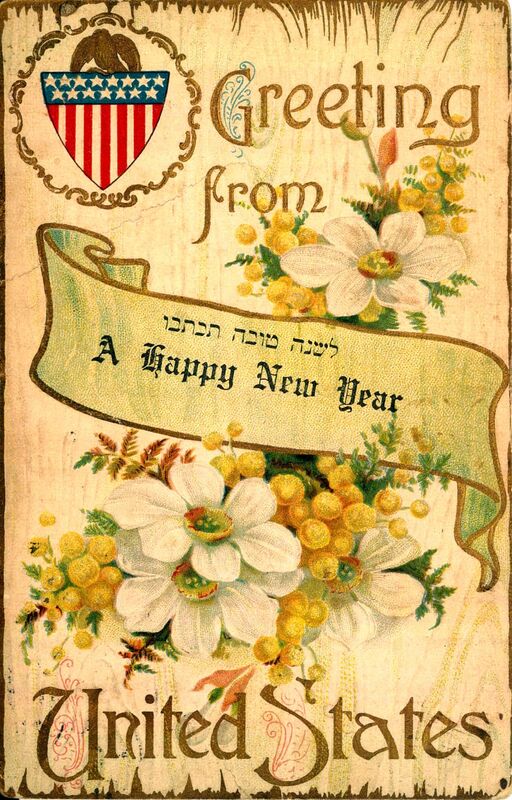 It is a time for prayer and reflection on the past year, one which families celebrate through the eating of symbolic foods, most recognizably the dipping of apples into honey to represent the hope of a sweet year ahead. 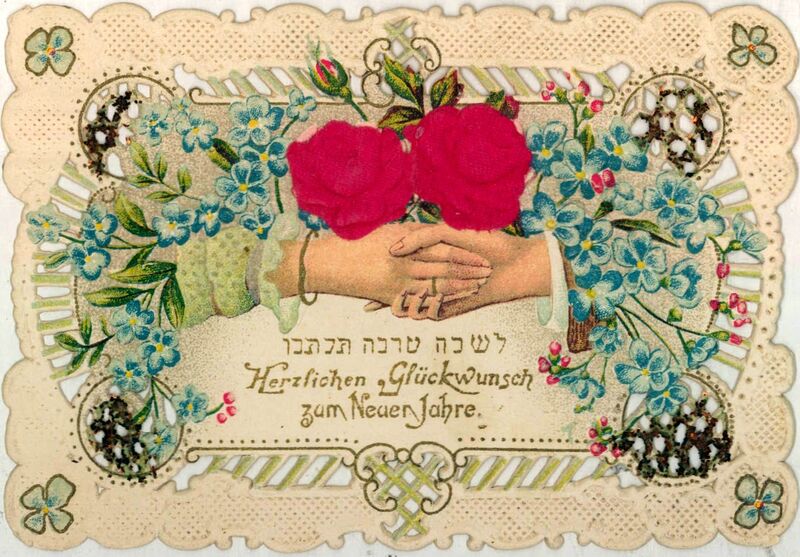 The antique postcards in the collections of the American Jewish Historical Society–New England Archives mostly date from 1900 to the 1920s. 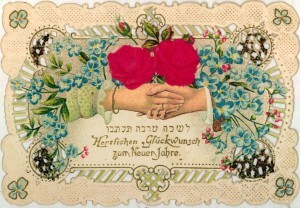 Many of these postcards have intricate floral designs and fret work, and some have been embossed with silk to add further detail. Additional flourishes, done by hand, include painted petals, gold borders, and added sparkles. 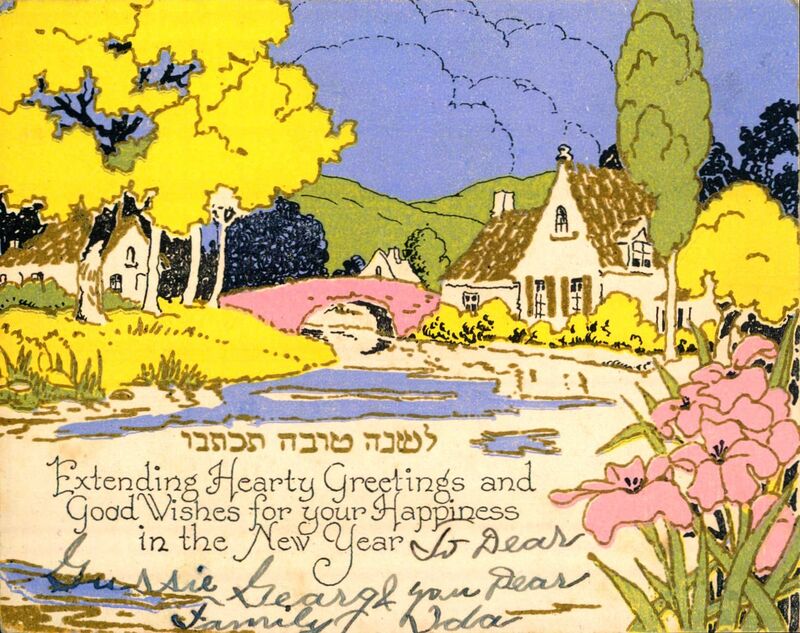 In celebration of Rosh Hashanah, here are some examples of holiday postcards from The Wyner Family Papers and the collections of the Jewish Heritage Center of the North Shore held at the American Jewish Historical Society–New England Archives. L’shanah tovah! Leah Ellenbogen contributed to the development of this post.